We’d had Bellinis before, but never in Venice, home of Harry’s Bar, the place where the cocktail was invented. 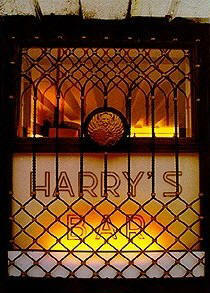 We didn’t really have the money to afford Harry’s Bar prices, but then we couldn’t afford not to either. 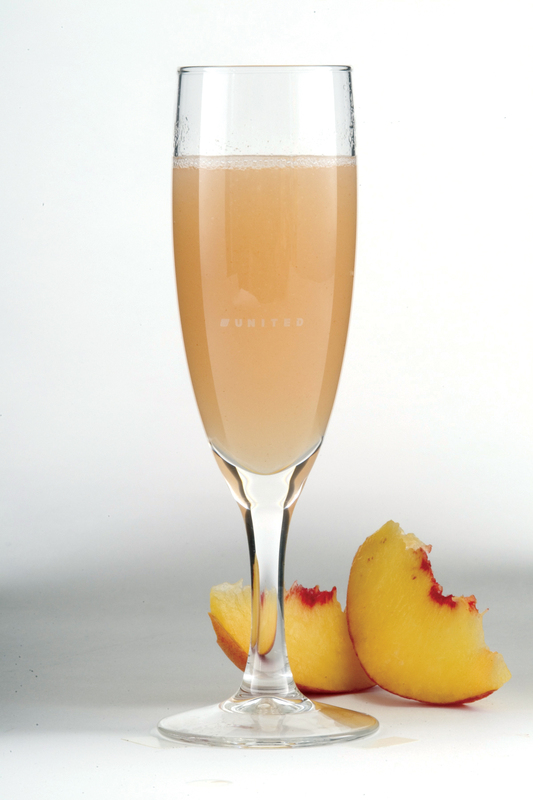 Giuseppe Cipriani, founder of Harry’s Bar, first created this sweet, bubbly mix of peach puree and sparkling wine (traditionally Prosecco – which, in sparkling wine terms is to Italy what Cava is to Spain) sometime between 1934 and 1948 we were told. The dates are a bit vague, but then maybe he celebrated his invention with a 14-year Bellini bender? Inside the bar – where Ernest Hemmingway used to hang out, as did Bogart and Bacall – it’s all butterscotch hues and polished wood, elegantly faded, like many of its customers. The Bellinis were delightful, but set up behind the bar in a production line ready to be topped off by the fizz, so we didn’t feel particularly special or decadent. But then, the bar is on the tourist trail, and it’s hard to recreate the allure of 1930s Italy for 21st century backpackers and weekend wanderers. Tourists are often told to avoid Venice in the summer, when it’s not so much a case of see Venice and die, as smell Venice and die, as the heat added to stale water in the canals is said to create a signature aroma. It’s a hotly debated topic, with some saying its reeky reputation is a thing of the past, now that the canals have been cleaned up. Our reason for choosing winter over summer isn’t to do with odour at all, but with ambience. In winter there’s a eerie mist that settles over the canals and on our gondola ride (expensive, but when in Rome…or Venice, and all that) we found ourselves enveloped in an atmospheric haze. Earlier that winter we’d stuck a pin in a map and come December 31 we found ourselves in St Mark’s Square for some very noisy impromptu fireworks amid a throng of tourists and locals chanting the countdown to the New Year. Strolling back to our B&B at 2am we had the inevitable munchies, brought on by cheap Prosecco and an over-exuberance when it came to jumping up and down hugging strangers at the stroke of midnight. We needed food. So did everyone else it seemed. 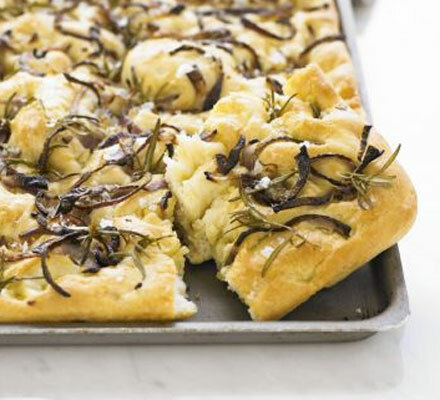 The narrow cobbled alleys fanning out from St Mark’s Square boasted one sole open late-night bakery offering takeaway snacks, its lights drawing the revellers like ravenous moths to a particularly bountiful culinary flame. We queued – and queued and queued – until we counted out the remains of our Euros and handed them over, to be presented with one of the best meals of our lives – mozzarella and sliced tomatoes, with ham and lettuce, on fresh white focaccia bread. Few things before or after have tasted so good. Sometimes it’s not what you eat, it’s also when and where you eat it that counts. 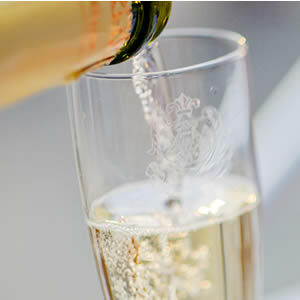 Pour the puree into a chilled flute and slowly top with sparkling wine.